Developers ZodTTD and yongzh have officially launched PSX4Droid on the Android Market for $5.99. Unsurprisingly there have been a few minor glitches reported like all emulation software. 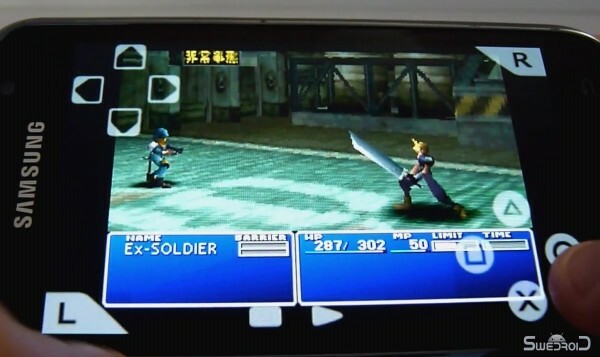 For the most part the PlayStation 1 emulator app seems to run rather smoothly, at least on the Samsung Galaxy S shown running Final Fantasy VII, Warcraft and Ridge Racer in the video below. The second video posted below shows a Nexus One running Crash Bandicoot, while the third shows a Dell Streak paired with a Wiimote also running Final Fantasy VII. Let us know your experience if you try out the PSX4Droid PlayStation emulator on your Google device of choice.